To burn off the massive amount of frustration and disappointment shared by many today, I decided that since it’s Wednesday I’d go drag race and go around the drift course at Sonoma and take it out on the car. The car was 95% ready to go aside from some cleaning supplies in the trunk. 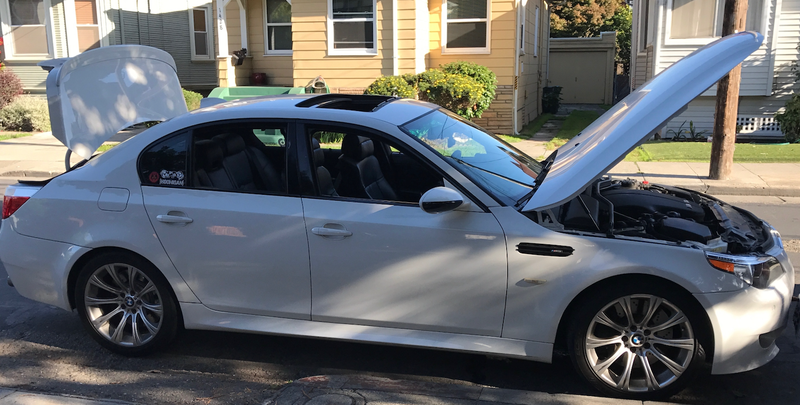 I quick blocked the driveway and ran in the loose items and ran back out with my helmet in hand to find out that my car makes one single click noise when I try to start it. It’s not lack of power. It’s 99% a dead starter. So here I sit with a cocktail in hand, waiting for a tow truck, and trying to convince myself that this is the universe might have just kept me from totaling the thing at the race track. Unlikely, but I’m telling myself anything at this point. I haven’t had a day like this since my cat died.